My older son has always been interested in classical music. When he hears a piece he asks questions about the instruments and will comment on the mood. I thought it would be good for him to learn more about classical music so went looking for an introductory book, CD or app that would help. I don't have any musical background so I really needed something that would provide lots of information rather than just a CD to listen too. I found the My First Classical Music book with CD from Naxos and only discovered that there's actually a corresponding app when the book turned up with an app store sticker on the front. I would probably have chosen the app if I had realized. But instead we've got the physical book which comes with a CD and I've uploaded the tracks to our Kindle Fire. This actually works well as my son can listen to the tracks and look at the book at the same time. The app is more integrated though and also more portable. 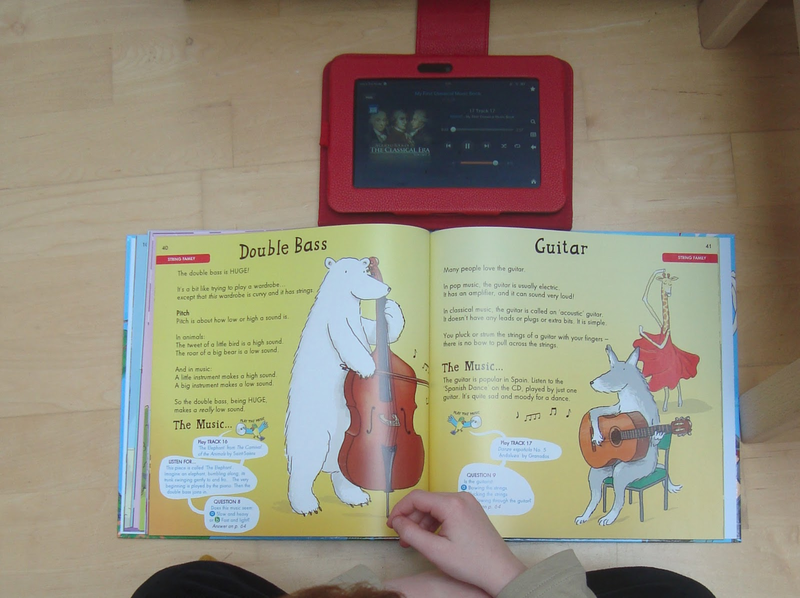 Whichever option you choose, this is an excellent introduction to classical music for children from age 5+. My son is 6.5 and it's perfect. He can read the text himself except for pronouncing some of the tricker composer names, and I needed help with those! Luckily there's a track on the CD that pronounces all the names for you. The music is really well chosen to appeal to kids, there's a track from one of the Harry Potter movies (which really appealed to my son) plus Peter and the Wolf and lots of famous tracks. I spent a lovely afternoon with my son going through the whole thing. There are questions as you go through that get kids really thinking about what they are listening to. Afterwards we found a local children's orchestral music concert and booked tickets. This has definitely furthered my son's interest in classical music. I'm fascinated too, I was brought up on country and pop music and always felt a bit uneducated about classical music. and also on the Google Play store for Android.